Irving Shipbuilding is looking for some clarity from the federal government about its shipbuilding plans after the Davie shipyard in Quebec was given a $610-million contract to convert icebreakers for the coast guard. Irving Shipbuilding is looking for reassurance from the federal government that it plans to build coast guard and navy ships in Halifax and Vancouver and not at the Davie shipyard in Quebec. "We call upon the federal government to confirm to Irving Shipbuilding, our shipbuilders and their families, the province of Nova Scotia, and all Atlantic Canadians that the National Shipbuilding Strategy remains intact and, therefore, construction of the ships for Canada's navy and coast guard will be done exclusively by Irving Shipbuilding and Vancouver Shipyards," Irving Shipbuilding said in a press release. The controversy developed late last week when Steven MacKinnon, MP for Gatineau and parliamentary secretary to the minister of Public Service and Procurement Canada, stated the Davie shipyard in Lévis, Quebec, will have opportunities to bid on and win work under the National Shipbuilding Strategy. 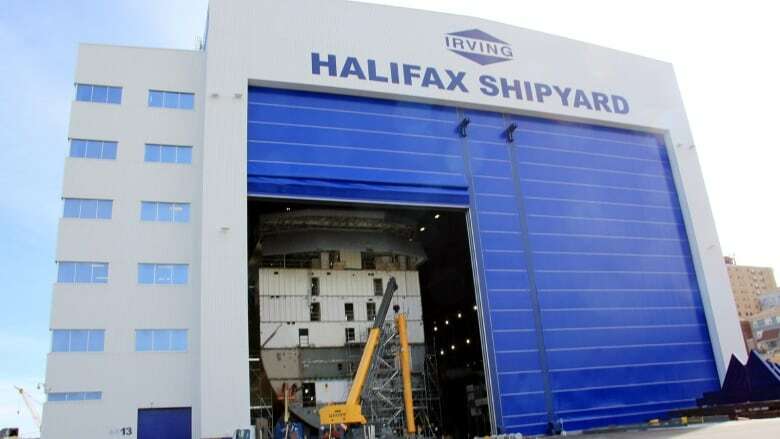 "The men and women of the Halifax Shipyard are concerned that these remarks signal the possible redirection of shipbuilding work out of Atlantic Canada," Irving Shipbuilding said in its news release. The company would not provide any further comment and declined an interview. A spokesperson for Carla Qualtrough, the federal minister of Public Service and Procurement, told CBC News that the announcement on Friday did not make any changes on the way forward for the National Shipbuilding Strategy. 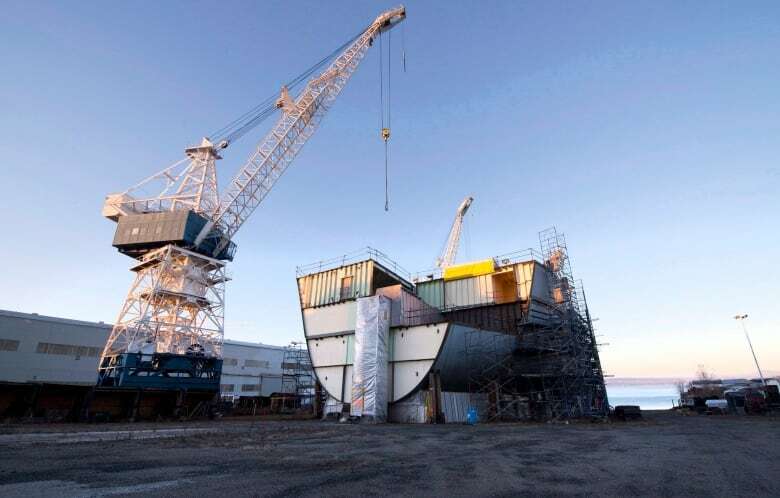 "As has always been the case under the National Shipbuilding Strategy, further opportunities exist for Canadian shipyards, including Davie, for small vessel construction, conversion work, maintenance, repair and refit contracts," Ashley Michnowski said in an email Tuesday. Last week, federal Families, Children and Social Development Minister Jean-Yves Duclos, who represents the Quebec City region, announced the signing of a $610-million contract to acquire and convert three icebreakers to renew the Canadian Coast Guard's aging fleet. The announcement was made at the Davie shipyard, which will be doing the work. The contract is expected to result in the creation of 200 new jobs over the next two years, according to Davie spokesperson Frédérik Boisvert. Irving Shipbuilding says in developing the framework for the shipbuilding strategy, the federal government acknowledged there was not enough future large ship construction required for the navy and coast guard to sustain more than two shipyards and their workforces. In 2011, a competitive process led to Irving Shipbuilding and Vancouver Shipyards being selected over Davie to build Canada's future fleets.